Hardwick Youth Under-8s enter Wish Sport after completing first season. Local footballers Hardwick Youth Under-8s have entered Wish Sport after just completing their first season. 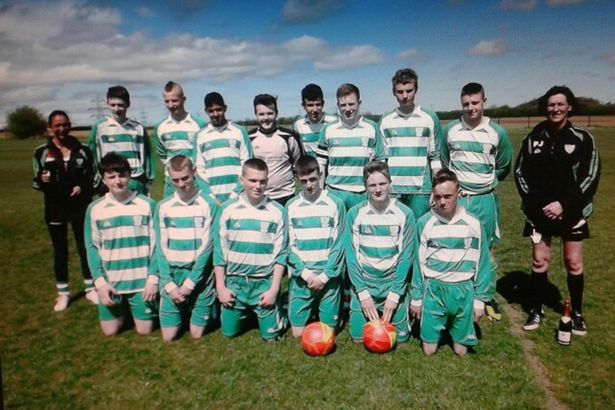 Based in the Hardwick area, the group formed in July last year as a branch of Hardwick Youth FC. The team started with five players originally, but ended the season with another four. They have now entered Wish Sport to buy waterproofs and training tops, along with other equipment. Andrew Mash, the club coach, said: “We can’t keep asking parents to contribute as much in the current climate. The group meets to play every Saturday from 10-11.30am. Anyone interested in joining the club can go along to a session at Bishopgarth School.